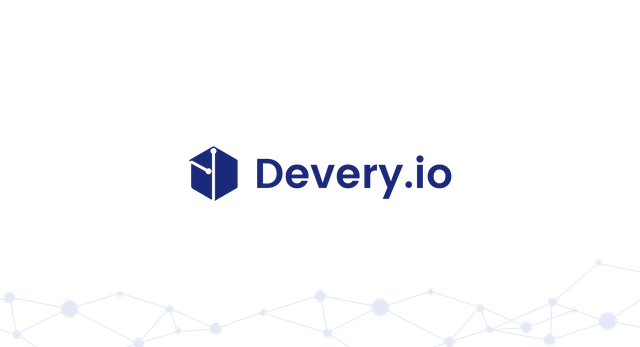 DEVERY.IO- DEVELOPING OPEN-SOURCE PRODUCT VERIFICATION PROTOCOL USING BLOCKCHAIN TECHNOLOGY. Do you no that according to a joint report by OECD and EUIPO, nearly half a trillion is lost every year due to counterfeit and pirated goods? Amounting to about 2.5% of the total global imports. USA and European Nations are the most affected region. And of alarming is the fact that these figure has been increasing on a geometrical progression on yearly basis. see table below for further clearification. No doubt the lack of authentic product verification and tracking system has created a complex problem to the global business community, these aforementioned problem is not only peculiar to manufactures alone but a minance to everyone involved in the trading cycle, which include but the following: the buyer’s, the salers, the physical store, the ecommerce store, all losing their money. PLEASE PERMIT ME TO EXPLAIN HOW THESE RESULTS TO A LOSE TO ALL THE PARTIES AND WHY WE SAY THAT THE ACTIVITIES OF PIRATES AND COUNTERFEITING OF PRODUCT IS A THREAT TO OUR GLOBAL BUSINESS COMMUNITY. One of the indispensable element in doing business is TRUST, little wonder Brands work hard to build the highest level of Trust among their audience. And where there is trust their is loyalty, as such every user is loyal to his trusted brand and the brands on their own part try as much as possible to meet up with the expectations of its users. And to keep them loyal it flashes them with a lots of loyalty rewards from time to time at list for their unbreakable trust. When Brand fail to deliver quality. And when some other companies copies its product, and a duplicate product is always fake, counterfeit, low in quality, thus scandalizing and destroying the image of brand in the market, and this happens on a regular base a situation where an unknown company tries to sale a duplicate product of a famous brand. these is the lacuna we want to address. No doubt base on the information gathered above their is an urgent need and a clarion call for the establishment of a decentralized platform that will proffer and easy solution for product verification and tracking thus bridging the distrust between the buyer and the saler using the latest technology, thereby saying bye bye to counterfeiting and pirating of products and welcome to secure distribution and supply chain transparency. Here comes the big question who will save us from this precarious situation! A SNAPSHOT ABOUT PRODUCT PROTOCOL AND WHAT DEVERY.IO IS ALABOUT. Devery.io is creating Devery Protocol, a decentralized protocol platform that permits labeling and following of Ethereal systems. 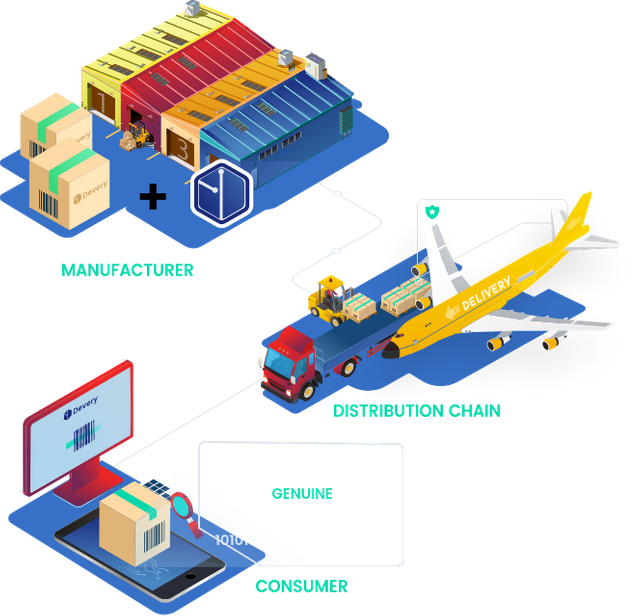 This Protocol empowers manufactures, brands, retailers and others to relegate an exceptional mark to computerized items, services or goods sold, issued and exchanged on the web. One of a kind marks are put away on the Ethereal system and can be mentioned to indicate relevant information like (location, date, factory / point of origin and and distinguishing proof of the checking party). Confirmation isn’t restricted to the clearance of physical products and services, and might be extended to check the realness and authenticity of digital goods and enterprises of any benevolent, for example, certificates and courses. A token named entry verification engine is utilized to create the one of a kind Signature. The open source convention enables the designer to make different sort of check applications. It is a progressive convention which enables anybody to create items without diving deep in the Blockchain technology. This service can be incorporated with any third party product, online business store, attire and clothing industry, mechanical products and so on. This is the base layer of Devery biological community which can be utilized to construct numerous applications for various types of industries. See official website here https://devery.io/ for more details. As a business owner, you can just ensure the item is certified by finding a reliable provider. Devery gives associations a chance to offer items through web based business to guarantee their production network is secure, this eliminates duplicating and guarantees a decent supply. Buyers presently can ensure the product they purchase online are legitimate before they are posted. This disposes of the conventional issue of confiding in online retailers to give real products since shoppers can check the legitimacy of things utilizing the Devery platform before purchasing. Interesting the ICO is now LIVE horry and invest now while the offer last and you will definitely be glad you did. Have you seen the video about the Product Protocol project? Product Protocol is a opensource protocol for crowdfunding/crowdlending campaigns based on digital assets issuing, integration with all business… enjoy…..
What more do i have for you than to say bye bye to counterfeiting and pirating of products and welcome to secure distribution and supply chain transparency. love you all please kindly resiprocate with your kinds words upvote and good rating cheers.